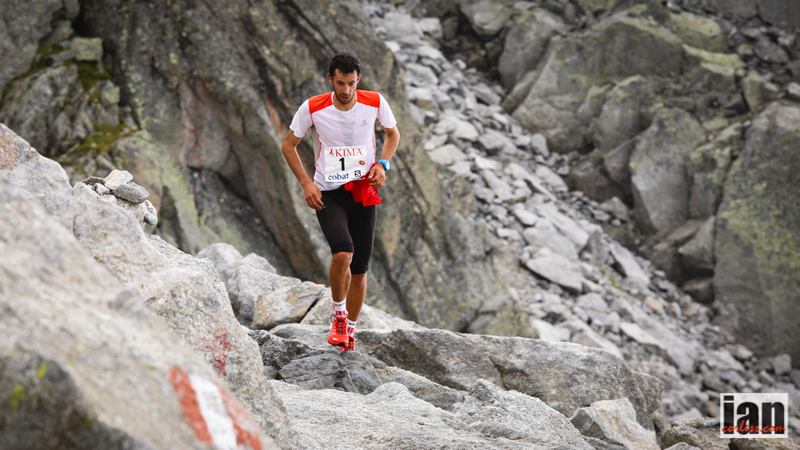 Kilian Jornet takes back the record at the Kima Trophy with a supreme effort. Equaling the record of Mario Poletti, Kilian took his fourth title after missing the race in 2016. Hillary Gerardi followed her victory in Tromso with another incredible win proving that she is the woman to beat on technical courses! The 23rd edition of the Kima Trophy that will be remembered amongst one the most beautiful ever after overnight rain cleared to an amazingly beautiful cold day. However, temperatures were cold due to strong winds and ice was present on the course. The race director Matteo Colzada and his staff checked the various critical points on th ehigh passes and postponed the start but to the relief of all the runners, the full route was allowed. Kima has 52 technical and very challenging kilometers with 8,400 m of total height gain and loss with 7 alpine passes all above 2500m (maximum altitude Cameraccio 2.950 m). Already winner of this race and record holder before the Nepalese Bhim Gurung beat it (6h10’44 “), the star of Team Salomon ran with Alexis Sevennec for much of the race. The two raced shoulder to shoulder until the final descent, a real 2000 meters dive from Passo Barbacan to the village of San Martino. Here Kilian launched a winning attack, an attack that allowed him to cross the line in 6:09:19 beating the 06;10:44 mark set in 2016. Alexis Sevennec 2nd in 6:11:59 was a popular favourite and rounding out the podium was Transvulcania winner, Pere Aurell in 6:20:50. The top ten of the day also Andre Jonsson, Leo Viret, Petter Engdahl, Andy Simonds, Cristian Minoggio, Cody Lind and Samuel Equy. 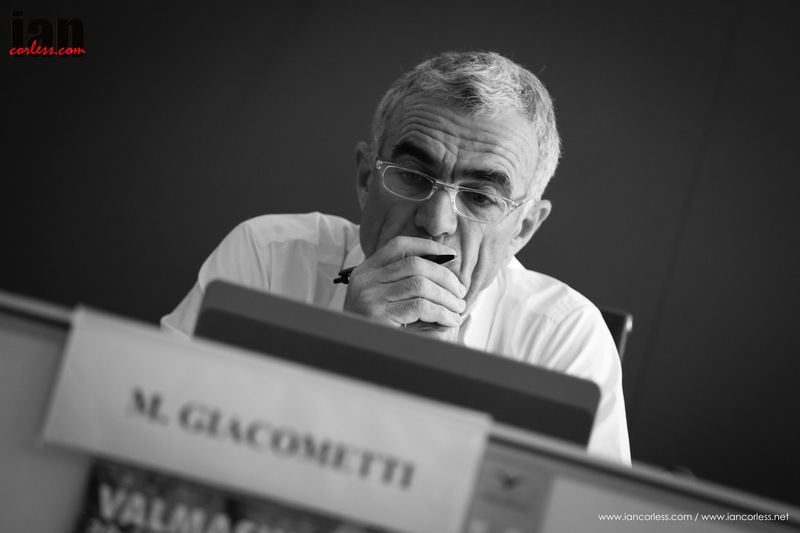 With today’s success, Kilian enters right into the history of Kima joining Mario Poletti in the golden book of success. Hillary Gerardi, did not beat the record of 7:36:21 set by Nuria Picas in 2016 but she produced an outstanding race, following up victory in Tromso. On the first descent towards Bocchetta Roma, Ragna Debats had tried to make a difference and close the gap, but Hillary was too strong. In the high altitude crossing, Hilary pulled away with a slender 5-minute lead, chased by Jasmine Paris, Brittany Peterson, Robyn Owen and Martina Valmassoi. Ragna was unfortunately suffering and dropped back. At the end, the South African, Robyn Owen tclosed on the leadership, but Hillary kicked and came back and won in 7:37:29. Second place for Robyn in 7:39:01 was a real surprise… watch out for this woman! Third was for the Nepalese Mira Rai in 7:41:46. The American Brittany Petterson, who had been in 2nd at the midway point, and the Italian Martina Valmassoi followed to round out the top-5! Tom Owens is without doubt one of the most inspiring runners from the UK who performs consistently on the world stage. Fell runner, ultra runner and Skyrunner, Tom has pushed the world best. Back in the day, Tom forged a reputation for himself with Andy Symonds at the Transalpine run where the duo were a formidable force. 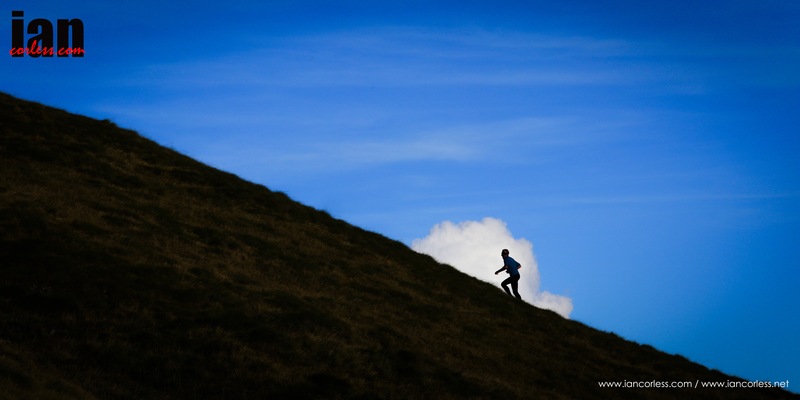 In recent years, Tom has mixed fell running and Skyrunning. In 2012, Tom placed 2nd behind Kilian Jornet at the iconic Trofeo Kima, he looked set to dominate the Skyrunning circuit but injury hit. Time away and keeping fit doing cyclocross, it was 2014 when the Glasgow based runner finally re-emerged at Transvulcania. 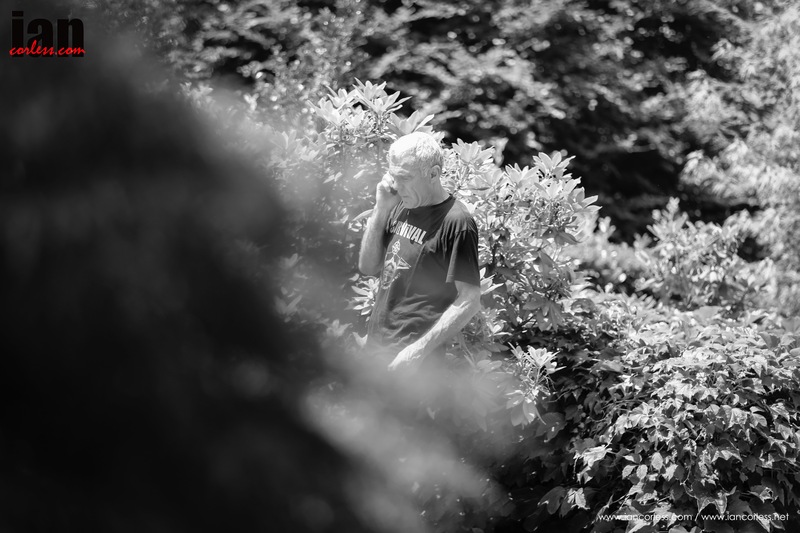 Transvulcania was a surprise return… renowned for running shorter races, Tom stepped up to 70+km – an unknown commodity. Class shone through and he placed 6th. A 3rd at Ice Trail Tarentaise and then 4th at Trofeo Kima and we all knew – Tom was back. 2015 started really well with a win overseas at the Buffalo Stampede in Australia, 6th at Matterhorn Ultraks and arguably his best result came with 4th in the IAU Trail World Championships in Annecy. Roll on to 2016 and Tom focused on the Skyrunning Extreme Series that combined all the elements that make Tom, the great runner that he is. Technical trails, altitude, distance and an ability to adapt to an ever-changing landscape. Victory at Tromso SkyRace and 5th at Trofeo Kima set Tom up for a potential overall title. Going into the Glencoe Skyline, a head-to-head being Tom and Jon Albon whet everyones appetites. On the day, Albon excelled and it was 2nd for the Scot. As 2016 comes to a close, Tom is looking ahead to 2017. Not known for his ability to handle heat and humidity, I wondered why Costa Rica? And what about the heat and humidity? Costa Rica may well prove to be much more of a test of running. We all know Tom can handle the rough and technical stuff – the river and bouldering sections will put the fell/ Skyrunner in the terrain that he loves. But Costa Rica will have sand too, albeit not soft sand. It may well be a whole new learning curve. Scotland and the UK is not going to be the ideal place train for a Costa Rican race in February, I wondered if Tom had any specific training plans to be prepared? Competition in the men’s race will be fierce, the recent announcement of Sondre Amdahl’s participation will no doubt focus the mind of Tom and the other male competitors. But a physical and mental rest is required before thinking about 2017. One thing is for sure, Tom always races to win and he will be prepared come February. The Coastal Challenge is a multi-day race over 6-days starting in the southern coastal town of Quepos, Costa Rica and finishing at the stunning Drake Bay on the Osa Peninsula, The Coastal Challenge is an ultimate multi-day running experience. Intense heat, high humidity, ever-changing terrain, stunning views, Costa Rican charm, exceptional organisation; the race encompasses Pura Vida! Unlike races such as the Marathon des Sables, ‘TCC’ is not self-sufficient, but don’t be fooled, MDS veterans confirm the race is considerably harder and more challenging than the Saharan adventure. Hugging the coastline, the race travels in and out of the stunning Talamanca mountain range via dense forest trails, river crossings, waterfalls, long stretches of golden beaches backed by palm trees, dusty access roads, high ridges and open expansive plains. At times technical, the combination of so many challenging elements are only intensified by heat and high humidity that slowly but surely reduces even the strongest competitors to exhausted shells by the arrival of the finish line. The Coastal Challenge which will take place Feb 10th – 19th, 2017. This is Episode 118 of Talk Ultra and this week is going to be a short and sharp show… it’s all about the UTMB races and Trofeo Kima. We have interviews with Jo Meek who placed 2nd lady at the CCC and Damian Hall who placed 19th in the UTMB and recently completed a ‘FKT’ on the South West Coast Path in the UK. This weeks show is co hosted by Albert Jorquera. Firstly, this show is being recorded in the USA on the day of the RUT VK and so therefore we are somewhat pressed for time… joining me is a co-host is my good buddy and fellow Skyrunning hack, Albert Jorquera. If you haven’t guessed, Albert is from Spain! Karl is on the AT as many of you will know, Speedboat has passed halfway on the AT. He really is doing great, racking up some daily mileage and as you can guess is going through some real highs and lows. We are posting 7-day updates on my website so please check out the links on the show notes. I need to give out a bog thanks to Red Bull who hooked us up with Eric, Karl’s chief crew and I had a chat with him on day 19. Albert, what do you reckon, 2100 miles in under 50 days, trying to average somewhere between 45-50 miles a day? Xavier Thévenard (France) won the 55k OCC race with 5:28 on the clock. Marathon des Sables sensation Rachid El Morabity (Morocco) was second, 15 minutes back. Mercedes Arcos (Spain) cruised to the front of the women’s field in 6:54. Michel Lanne (France) in 12:10, five minutes ahead of Ruy Ueda (Japan). Mimmi Kotka (Sweden) gained the women’s victory in 13:42, 27 minutes better than second-place Jo Meek (U.K.). Pau Capell (Spain), Yeray Duran (Spain), and Franco Colle (Italy) filled the men’s podium with 14:45, 15:14, and 15:32 finish times, respectively. Delphine Avenier (France) led the women with an 18:46 winning time with Meredith Edwards (U.S.) took second 13 minutes back. 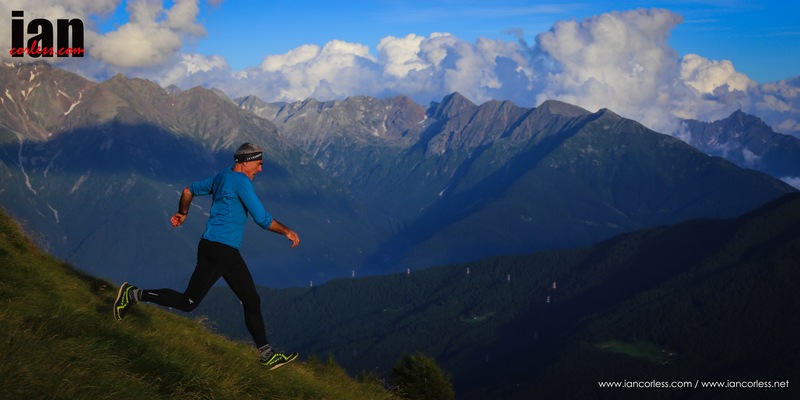 You cannot look at Trofeo Kima with the eyes of a pure runner; It’s beyond running! For over twenty years, ‘Kima’ as it is affectionately known, has blown the minds and the legs of all those lucky enough to toe the line. The race is arguably the pinnacle of the Skyrunning calendar and as such it has gained a reputation as one of the most demanding and challenging races in the world. At 52km in length the distance is not intimidating, however, 8,400m of ascent and descent put the race in perspective. ‘Kima’ was the nickname of Pierangelo Marchetti, who with friends founded the first helicopter equipe in Italy. The mountains were Perangelo’s life; he loved them and he embraced them. Unfortunately, on July 8th 1994, while attending a rescue mission via helicopter, Pierangelo’s life was taken. Trofeo Kima was created in his memory to ensure his love and dreams of the mountains would live on. During the 20-year history, Kima has seen the best in the world perform over this challenging course. 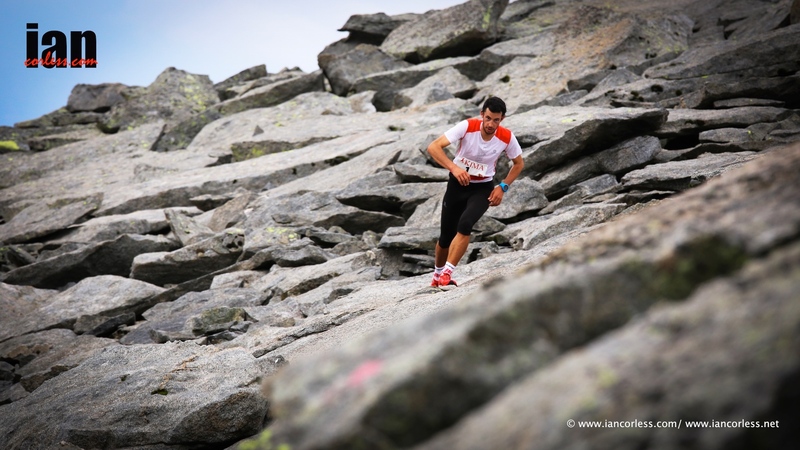 Now part of the Skyrunner® Extreme Series, Kima is one of three ‘extreme’ races that provides points for an overall Sky Extreme Series title where two out of three races must be completed. The first race in the series was Tromso SkyRace, the second Trofeo Kima and the third being the Salomon Glen Coe Skyline in Scotland. 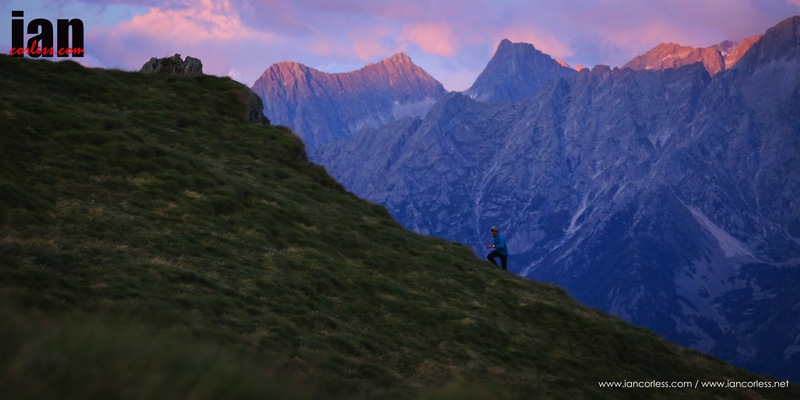 For many, this iconic Skyrunning and mountain running race is still unknown. It’s like a precious jewel, hidden away for fear of someone stealing it. With each edition, one link in the securing chain is removed and the extreme beauty of Kima is being revealed to an audience of adrenaline junkies. Kima is not for everyone, but if you have the experience and the courage, the Sentiero Roma rewards each who ventures on to its tough and technical terrain. This year, Tom Owens was riding high after a string of successful results and many had tipped him as the pre-race favourite. However, a day of intense heat and clear skies most definitely played with the rule book throwing several curve balls. In the ladies’ race, the 2016 Kima will no doubt be remembered as the return to top level racing for Emelie Forsberg. Recent surgery on her knee after an ‘acl’ injury had deprived Emelie (and us) of her presence in a race. A couple of forays into shorter races had tested her fitness and recovery but could Emelie stand 7+ hours on ‘this’ course. Early action came from Alexis Sevennec and Leo Viret who dictated the pace up the very long first climb pursued by Marco De Gasperi and Nepalese runner, Bhim Gurung. Constantly fighting the terrain and each other, Sevennec and Viret lead the race for much of the way with Gurung moving up into 3rd place after Qualido. In the latter stages of the race though, De Gasperi made a move as Sevennec and Viret faded. Gurung joined the Italian Skyrunning legend and in the closing stages the two dueled to the line… in the closing stages it was Gurung who made the break crossing the line to a stunning victory and new course record time of 6:10:44. De Gasperi crossed the line also under the old course record of Kilian Jornet a spent force. He dropped to the ground exhausted from the effort and heat. Vireo closed 3rd and Sevennec smiled his way across the line in 4th. Tom Owens finished 5th after a tough and hard day in the office – his first at Tromso and 5th here still securing his place at the top of the Sky Extreme Series. Emelie finished in 7:49:06 outside Nuria Picas’s course record time of 7:36:21. Ruth Croft from New Zealand pursued Emelie all day and had a great run often hovering around 10-minutes behind. At the line the gap was 17+ minutes and Ruth confirmed that her skills on such technical terrain are not good enough in comparison to Emelie. Kima legend and previous winner of the race, Emanuela Brizio upheld her incredible history with this race crossing the line in 3rd, 8:21:42. 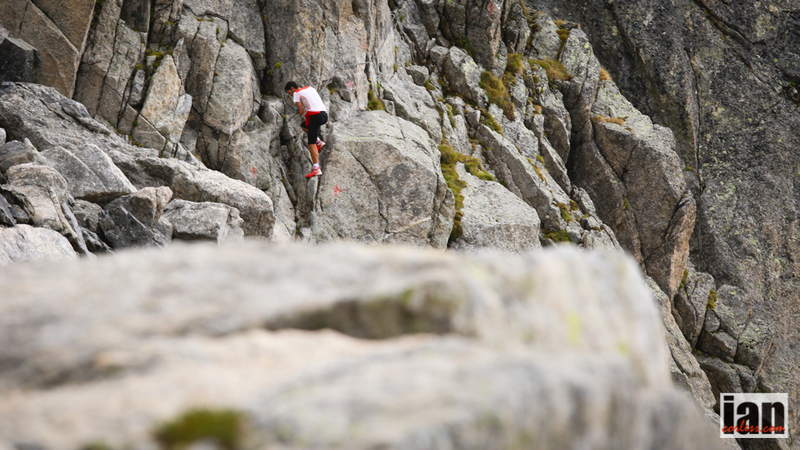 Extreme is personified with the imminent running of the 2016 Trofeo Kima. Tough, challenging, technical, inspirational. memorable… KIMA is not for everyone! For over 20-years this race has been the example provided to the world of what a Skyrunning race can be. The vision of Marino Giacometti was way ahead of its time, but now, the world is catching up. 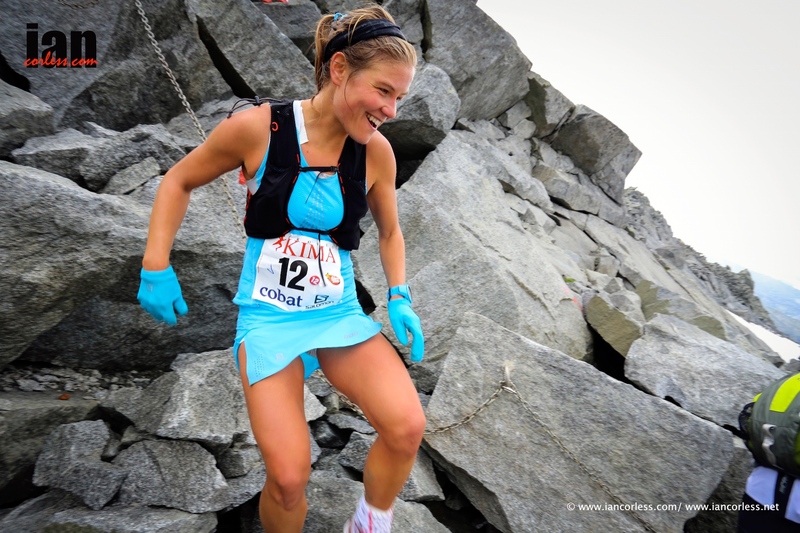 Two years ago saw the creation of the Tromso SkyRace by ‘Kima’ stars, Kilian Jornet and Emelie Forsberg. Last year we witnessed the inaugural Glen Coe Skyline which incorporated elements of the other 2 races to create something quite unique for the UK. In 2016, the three races combined to create a new challenge, the Sky Extreme Series – three races of which two must be completed to rank. Kima covers 52km with 4200m of vertical gain and goes over 7 passes linked by refuges. Exposed crest, snow, ice, steep rocks, technical terrain and Via Feratta provides one of the ultimate challenges available. The recent Tromso SkyRace set the stage for 2016 with stunning victories by two Brits, Tom Owens and Jasmin Paris. 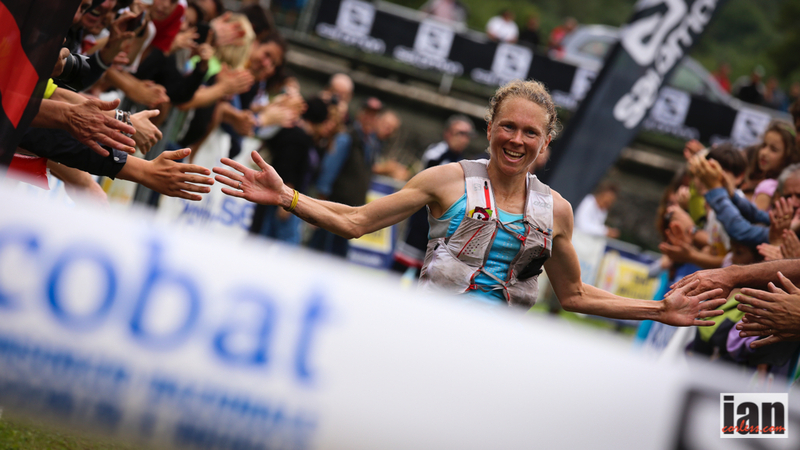 Paris will mis Kima due to prior race commitments but her presence is confirmed for Scotland. Owens by contrast follows up his purple patch of running (silver at the Skyrunning World Champs, victory at SkyRace Comapedrosa and victory in Tromso) by running in Kima, a place where he last raced in 2012 when he placed 2nd behind Kilian Jornet. On recent form, Owens is without doubt the men’s favourite. He has pushed his stamina recently with many events and quality training but he just seems to be getting stronger and stronger! Jonathan Albon (UK) who won Tromso SkyRace ahead of Luis Alberto Hernando in 2015 and recently placed 2nd to Owens at the same race in 2016 has rejigged his racing plans and has decided that Kima is just too good too miss. He did say in his interview on Talk Ultra podcast (here) that he will use Kima as a learning curve but I still anticipate a top performance! Whilst on a UK theme, it’s important to acknowledge how the Extreme Series has really captured the hearts, minds and yes, legs and lungs of the Brits, primarily due to a race on home soil. Donnie Campbell winner of the Lakes Sky Ultra, 3×3 and many other races will test himself on Italian soil. He knows the challenge is the next logical step in his progress as a Skyrunner. Joe Symonds (*not confirmed), brother of Andy Symonds and winner of the 2015 Glen Coe Skyline will also get his Extreme campaign underway! 2015 Dragons Back Race winner, Jim Mann will also join the Kima party along with Glen Coe Skyline RD, Shane Ohly. Main contenders for overall victory will come thick and fast from a world class line-up of experienced Skyrunner’s who know how to push to the limit on the ultimate terrain. Marco De Gasperi needs no introduction, the Italian was there in the beginning and still pioneers a true path in the sport. Sota Ogawa made the podium in Tromso and no doubt he will bring guts and determination to the Italian mountains for a repeat performance. 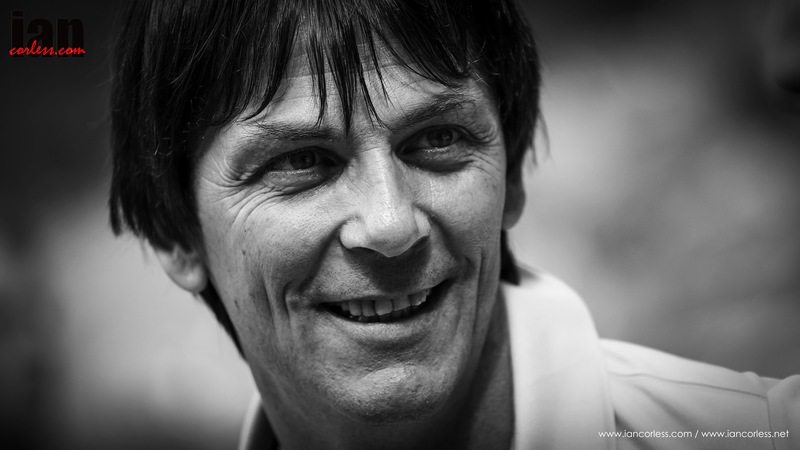 Fulvio Dapit has raced Kima many times (6th in 2014), is arguably one of the most experienced Skyrunner’s on the start list and although he is unlikely to win the race, he will be in contention. However, he has become a new Dad recently; he may be tired! Bhim Gurung won the inaugural Yading SkyRace which kicked off the 2016 Skyrunner World Series. Just this last weekend he raced at Matterhorn Ultraks where he finished 7th. Kima’s technical terrain will be a challenge for the Nepalese runner but not the altitude. Eirik Haugsnes won the inaugural Tromso SkyRace and has performed consistently in technical and challenging races. A recent top-10 in Tromso once again shows he has the fitness for a repeat performance. *update 23rd August, Eirik has withdrawn from the race. Alexis Sevennec is a runner who mixes ski mountaineering and Skyrunning seamlessly. An ever-present on the Skyrunning circuit, he has always run well at the Dolomites SkyRace and most recently at SkyRace Comapedrosa. Manuel Merillas is a last minute entry to the race and after placing 2nd in 2014 behind Kilian Jornet, he is likely one of the hot favourites for a podium place. However, his results in 2016 have not been as impressive as in 2014 and 2015, maybe Kima will be a turning point? Andre Jonsson was on fire early season and then had a couple of mixed races, particularly at the Dolomites SkyRace where he performed below expectation. At Ultra SkyMarathon Madeira, Jonsson dictated the pace from the start and looked set for a great victory only to crumble on the final climb. It’s all a learning curve and Kima will no doubt be a huge test but it’s one that he is happy to take on. Florian Reichert has been racing on the Skyrunning circuit for years and has always been a consistent performer who has experienced Zegama, Transvulcania, Glen Coe and so many more races. He comes to Kima with experience and an understanding of the challenge ahead. Philipp Reiter is racing less these days due to commitments working for Salomon, however, he always has a great level of fitness and the more technical the terrain, the happier he is. He showed this at Tromso recently. Philipp would be the first to say that podium is unlikely but he will be in and around the top 10. 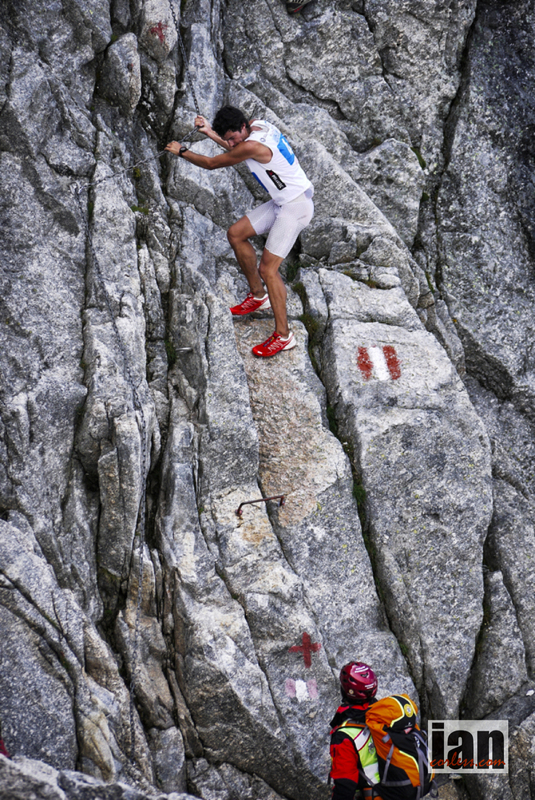 Pablo Villa has raced a great deal at the moment, SkyRace Comapedrosa and just recently at Matterhorn Ultraks. Kima is a challenging race and Villa’s performance will depend on his powers of recovery. Dani Garcia Gomez, Iban Letamendi, Paul Hamilton, Jan Bartas, Luca Carrara, Matt Cooper, Matt Lefort, Aaron Newell, Konrad Rawlik, Leo Viret, Situ Vives Bosch, Allan Spangler and Pieter Schaaps amongst others will also toe the line in what will be a very exciting men’s race. The ladies race has recently been brought to life with the announcement that Emelie Forsberg will use Kima as her comeback race from a very serious injury and operation. At Tromso SkyRace, Forsberg tested her knee and fitness on the VK course and came away with a victory in a 3 up sprint for the line. The last time Forsberg raced in Kima it ended in tears; all set for what looked like to be a course record run when disaster struck with a navigation error and a huge loss of time. Chasing like a demon, Emelie pulled back places and eventually finished 2nd behind Kasie Enman. Having seen Emelie run in Tromso, I personally feel that we are going to see an on fire Forsberg on the mountain passes, the only 2 questions I will have and probably Emelie has: 1. How will the knee hold up? 2. How will Emelie’s endurance be for a 7-hour outing? If the answer the these two questions is positive, I think we will see Emelie win the race. Emanuela Brizio won Kima in 2010, was 3rd in 2012 and 3rd in 2014. I have no reason to doubt that Emanuela will not be on the podium again, this year I think it will be 2nd but victory is a distinct possibility. Ruth Croft had a great result at Transvulcania earlier this year and just won the 30km event at Matterhorn Ultraks. Kima will be a complete learning curve for Ruth, I doubt if she will have ever experienced a course that offers so much technical running. 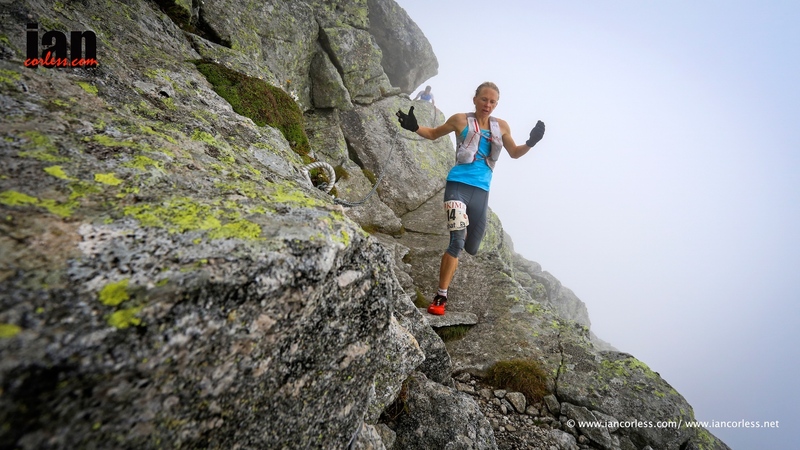 Natalia Tomasiak was 4th lady at Tromso Skyrace and she can therefore handle the technical terrain and distance. Her finishing time though was over 60-minutes slower than race winner, Jasmin Paris. Therefore, it’s unlikely that Natalia can contest for the win but top-5 is possible. Elizabeth Barker like Natalia ran Tromso and finished 7th. A top-10 is a possibility in Italy. Zuzana Urbancova, Kristina Aluzaite, Elisabet Bertran Masenanes, Olga Lyjak, Tanya Pacheco, Kathrin Schambeck and Hana Krajnikova are all running and may well contest the top-10 or top-5 podium places. 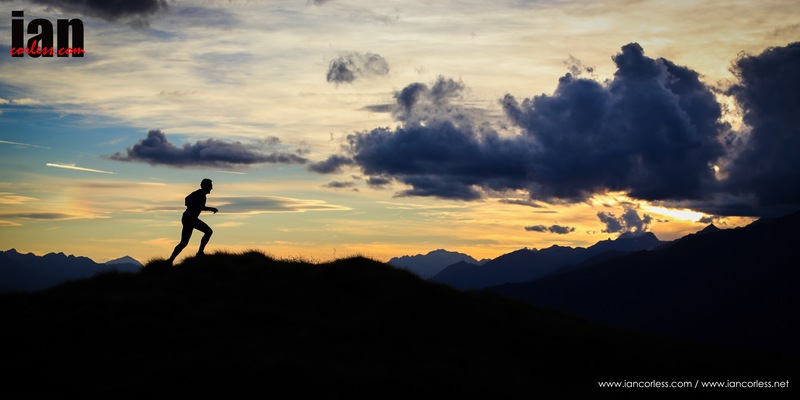 The International Skyrunning Federation is pleased to announce that the Skyrunner World Series calendar will have a new addition to VK, SKY and ULTRA for 2016 and future years. See the full release and calendar HERE. The bi-annual race returns in 2016 and due to increasing demand for adventurous and demanding courses, the ISF have created a new series called SKY EXTREME. Three countries, three awesome races, a real opportunity to embrace the ethos of where earth meets sky! The series will start in Norway with the TROMSO SKYRACE in August, we will then move to Italy for TROFEO KIMA in late August and then the final race will be in the UK with Scotland’s GLEN COE SKYLINE in September. Although it will be possible to race each race in its own right, to qualify for the series you will be required to run two races. The rewards? Skyrunner World Series Extreme Champion 2016. Needless to say, the addition of EXTREME to the Skyrunner World Series is great news for a UK audience and UK based runners. “I had a dream 2-years ago when Skyrunning UK was launched in the UK that in 3-years we would host a SWS event. That dream is now a reality and with it the worlds best will come to Scotland in September to race in the mountains of Glen Coe!”– Ian Corless, Skyrunning UK Director. A trickle of piano noise from the local music school weaves its way through open window shutters left ajar to allow some breeze… the heat of the day can be stifling. It feels and sounds like a scene in a movie. Cobbled streets, stone arches, a wonderful old square, the chatter of children playing and the smell of a freshly brewed cappuccino in the air. Biella, or should I say, the International Skyrunning Federation HQ (and home of Lauri van Houten and Marino Giacometti) is atop a hill in a walled village close to the Aosta valley, just over an hour from Chamonix and in close proximity to Monte Rosa and the Matterhorn. It seems the perfect location for the home of pure mountain running. Biella lies in the foothills of the Alps in the Bo mountain range near Mt. Mucrone and Camino. 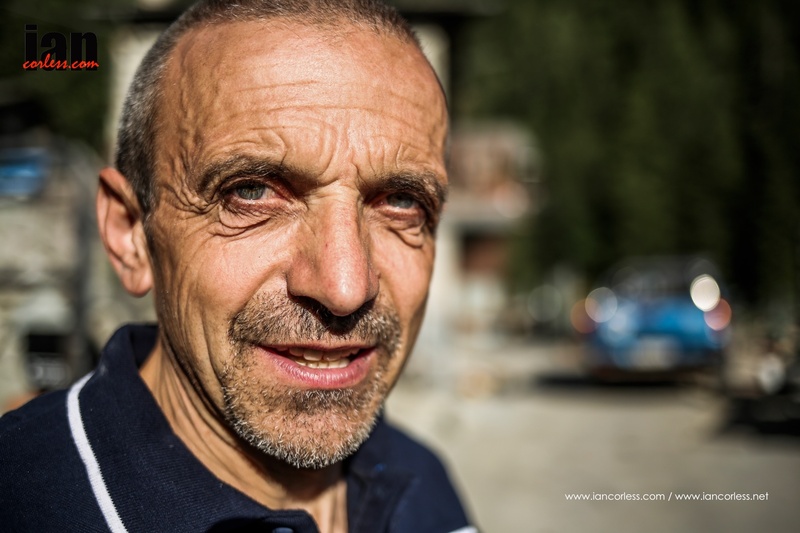 It is midway through the 2014 season, between Ice Trail Tarentaise and Trofeo Kima, I spend time with Lauri and Marino in Biella at their home in the mountains (Casina) Corteno Golgi and at Trofeo Kima to get an inside look at what makes this couple tick and how the Skyrunning calendar and its logistics fall into place. 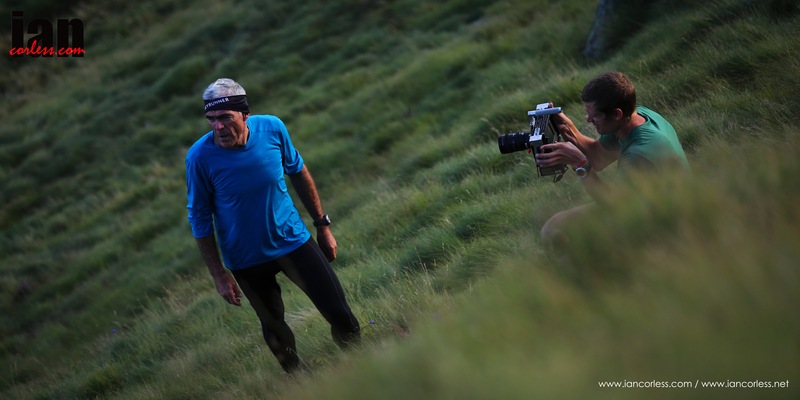 The African Attachment with Greg Fell, Dean Leslie and Kelvin Trautman were also filming for Salomon Running. Today, 20th Oct the preview film will be made live. ‪#‎FastandLight‬ is for me a special moment. I hope you enjoy the film and the related articles and images that are currently published worldwide to coincide with the films release. Mountains dominate the life of Marino and Lauri. It’s not a job; it’s a passion that dominates 12+ hours of every day. You will see the dynamic duo at all the Skyrunner® World Series races every year. In total, that is 15-events in 3-disciplines, VK, SKY and ULTRA. But these worldwide events are just the visible face of what the ISF does! 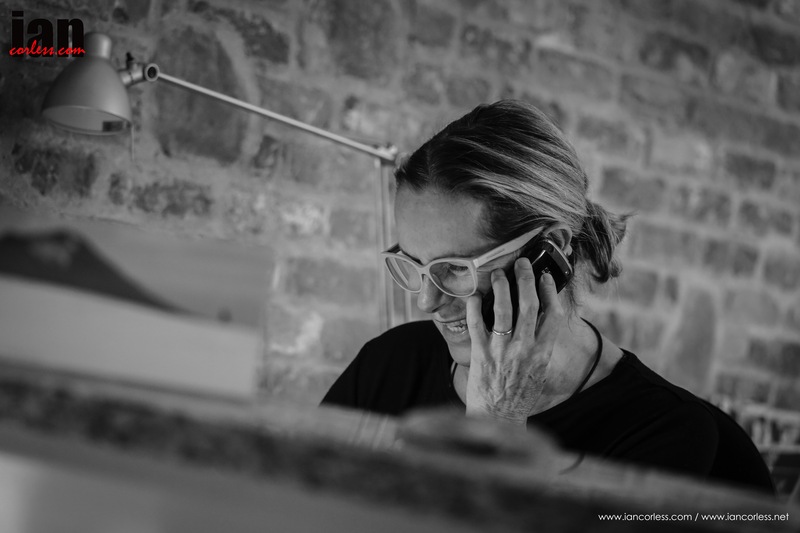 Behind the scenes it’s a frenetic highly pressured scene of telephone calls, emails, logistical planning and negotiations that make the Skyrunner® World Series tick. It’s a scenario far removed from 1989 when Giacometti set a record running from the village of Alagna to the summit of Monte Rosa. 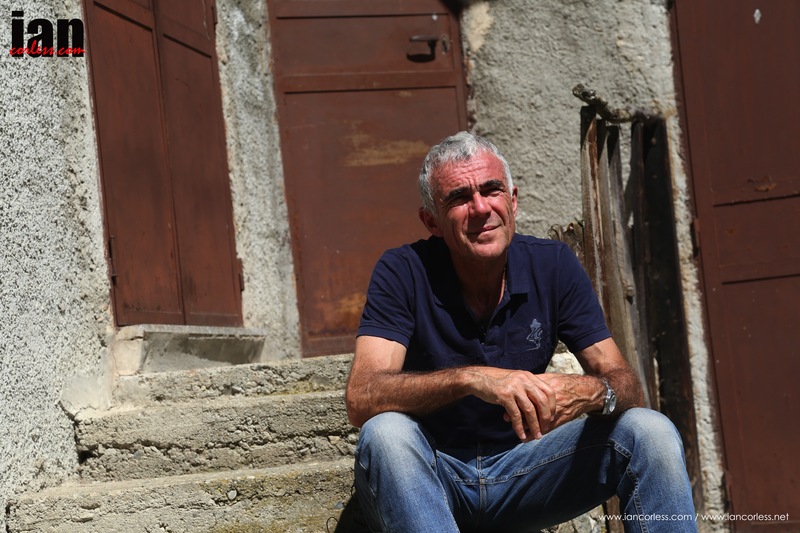 25-years of mountain running and today, iconic names such as Bruno Brunod and Fabio Meraldi are once again being talked about in the same breath as Kilian Jornet. “Older generations were already Skyrunners. My grandfather crossed the mountains working for example. ‘We’ as Skyrunners added more speed but in essence it has always been the same thing, Skyrunners have always existed.” Bruno Brunod says. Biella is a wonderful place. Calm and relaxing, to me, it is typically Italian. Located opposite a music school, the ISF headquarters and home of Marino Giacometti and Lauri van Houten resonate a calm and tranquility that seems far removed from the full-on days in and around and Skyrunner® World Series. The sun shines and the daily bustle of Italian life provides a wonderful soundtrack that penetrates ones’ mind. Cars rumble over cobbled streets as they scoot off to work, mothers are heard chastising their child ren as they amble to school. The click of an espresso machine and that wonderful noise as pressured water works its way through fresh coffee and the smell, oh the smell! Nothing beats a fresh coffee in the morning. It’s 7am and Marino is kicking off his day with a good strong shot of the dark stuff before donning glasses and opening his computer. The office is adorned with memorabilia from 20+ years of travel and racing. The door plaque sums it up’ Skyrunners.’ In the corner, magazines are stacked in chronological order documenting a lifetime in sport. Lauri joins us looking a little tired. Yesterday was another 18-hour day. It’s normal… it shouldn’t be but it is! “What does a normal day look like for you Lauri?” I tentatively ask, knowing full well the answer. Preparations are well underway for the race and in just 24-hours we will all need to travel to Milan for a press conference and then a journey will follow to the mountains, to Corteno Golgi and a stay at Marino’s mountain house, the ‘Casina’ before an onward journey to the Kima race itself. Marino looks over at us, he peeps over his glasses and smiles. My question. “Tell me where you come in Marino?” Seems to suggest that I am implying he does nothing. 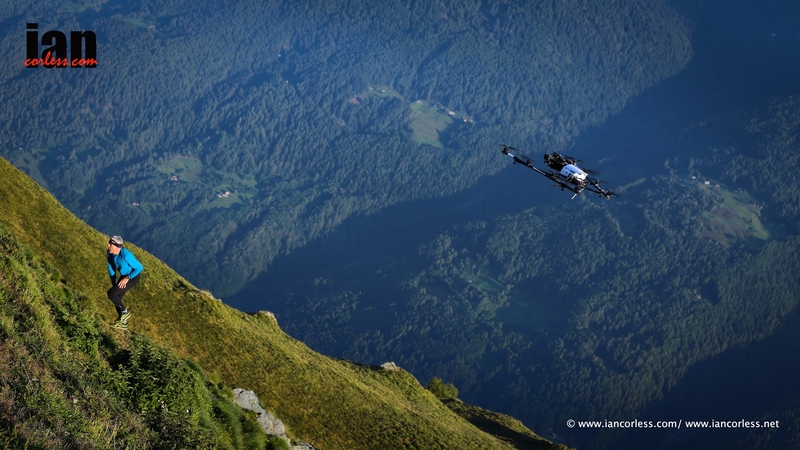 It is easy to look at the ISF calendar and see the Skyrunner® World Series and think easy! However, it takes 365-days to make those 15+ days happen. When one season ends, plans start immediately, if not before for the following season. 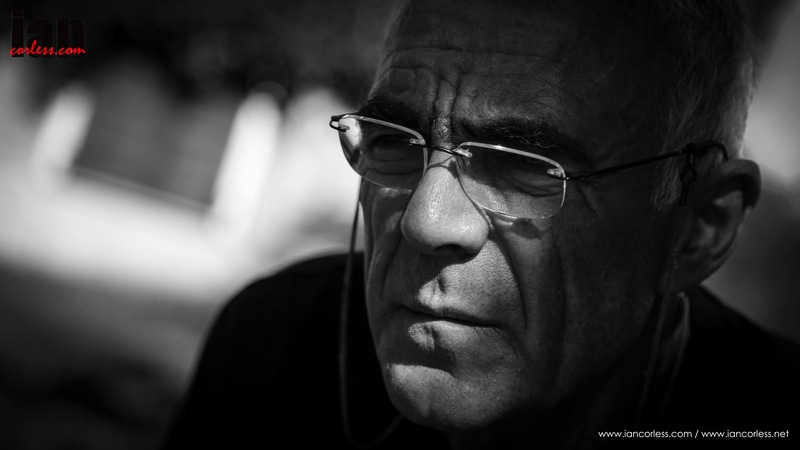 Marino was a visionary and many like to call him the ‘Father’ of Skyrunning. Emails ping on arrival, the phone rings repeatedly and I suddenly realise that our day is going to be way too busy to continue discussing the working life of the ISF. Taking a place at my desk, I open my laptop and get on with my work in preparation for Kima. 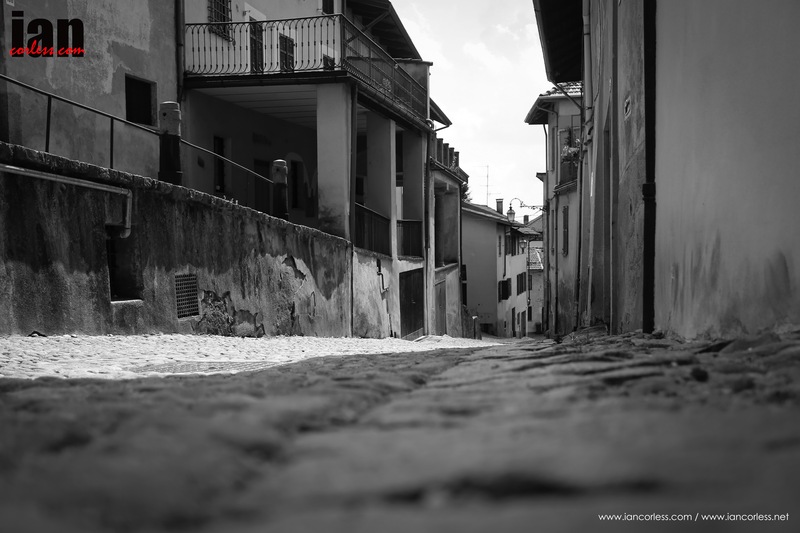 I sneak an opportunity pre lunch to stroll around the town, take in a cappuccino and photograph Biella. Lunch provides a break and in true Italian fashion, everything stops. It provides an opportunity to relax, take in a glass of wine and eat fresh and wholesome food in a meze style. It’s not often that I am stuck for words, but as I look into his eyes I feel sad. To me it seems as though Marino has given up on his personal dreams. Milan is not far away and it’s on our way to the ‘Casina’ thus making the Kima press conference logical and workable into a day of travel. We are late but Marino drives like an Italian! A clean white shirt, Armani jeans and Mr ISF looks pretty darn dapper. Lauri is dressed in black with large shades. I suddenly feel very British. Italians do ‘style’ with ease and of course, where better to look sharp than Milan. I have no choice, I am on a working trip and my wardrobe doesn’t extend to looking cool. It’s hot in the city and the traffic irritates me after the quiet of Biella. Walking into a large office block we are escorted to the 4th floor and Kima delegates greet us. It’s all kisses and handshakes. Old friends meet new friends and the banter is relaxed. A large table with place names adds formality to the event. Marino takes his place and the conference begins. It’s a show for local press and global papers and all part of the valued process to promote the ISF, Skyrunning and give valued exposure to race sponsors. Post the conference, a meeting takes place and Kima is discussed. Great emphasis is placed on schedules in regard to the helicopter. Kima is so technical and demanding that a helicopter is the only way to transport media around the event. Bad weather; no media! 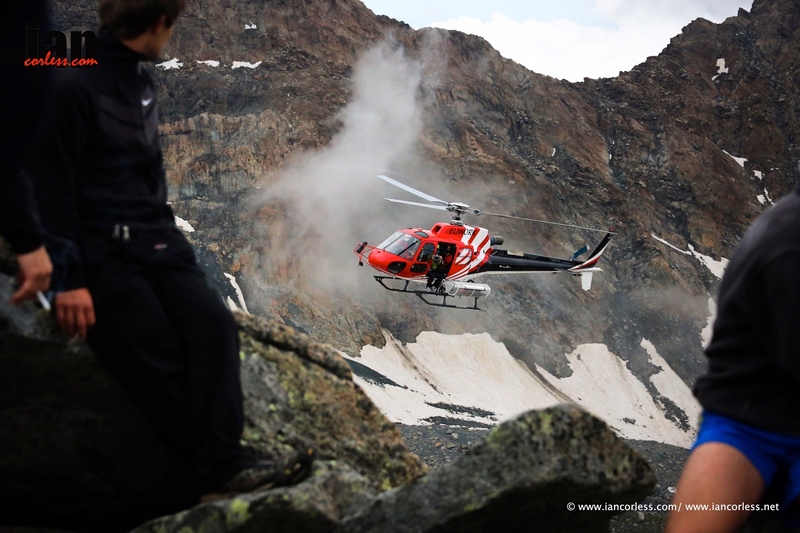 Helicopters are expensive but at Kima we often have 2-helicopters at our disposal for 8+ hours. It may well be why I enjoy the race so much. It’s an adventure. Believe me, to be afforded the opportunity to see the worlds best runners on arguably the best course is something I will never take for granted. 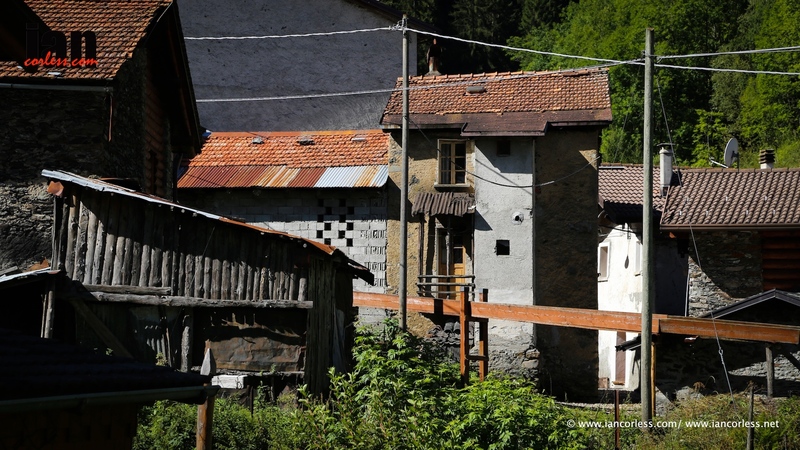 The ‘Casina’ is a mountain house in Corteno Golgi close to Marino’s birthplace of San Antonio. Spread over 2-floors it is almost two completely different buildings. Upstairs is all wood, a combination of rustic/ modern and a wonderfully relaxing place that has been heavily influenced by Lauri. Downstairs is the original building, un-touched for years and one that harks back to Marino’s past. 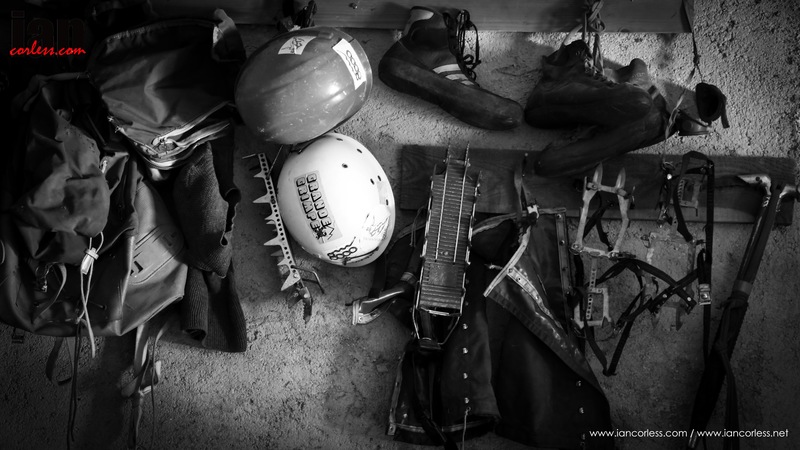 The garage is a Skyrunning museum of ice axes, helmets, shoes, race bibs, clothing, videos and old slides. Surrounded by green fields and mountains on either side I suddenly see Marino in a new light. He his home! He points at peaks and explains his childhood; his passions and I suddenly feel very honoured and privileged. I met Dean Leslie and Greg Fell from TAA at Transvulcania La Palma back in 2012 and since then we have kept in-touch and often crossed paths at races all over the world. 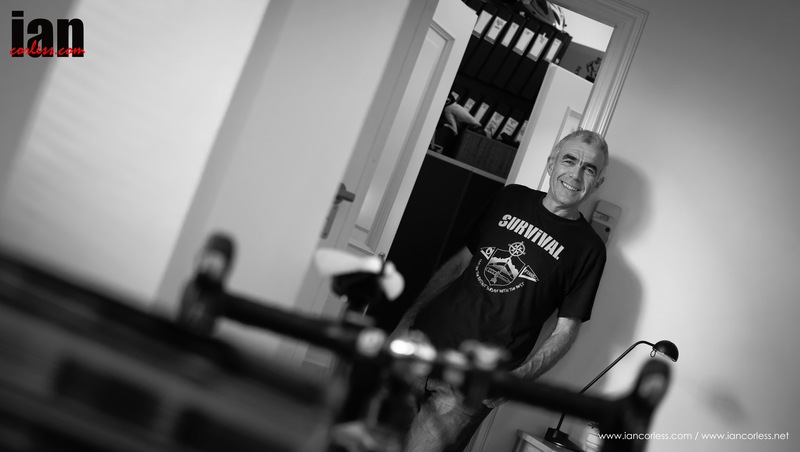 I am excited at the guys arriving and the opportunity to work alongside them and shoot stills, a real perk of the job. Photographer, Kelvin Trautman is directing the film and although I haven’t met him before, we soon hit it off and I realise that what is in store; two awesome days in the mountains. The evening is amazing. The sky is adorned with clouds and as we climb with cameras, Marino runs to the instructions of Kelvin. Looking for ridges and technical lines, Marino embraces the challenge and is arguably having the most fun he has had in ages. Days don’t get much better than this… at the summit of Monte Padrio the light is incredible and as the sun disappears for the day we are rewarded with a colour palette of orange, red and gold. Marino is in silhouette on the Skyline and I realise I am in a moment, a moment that I won’t ever forget. Sleep is not something you need when working with the ISF. The following day starts early with a short drive and we are suddenly looking at Marino’s childhood home. Following him up the trail, Kelvin wants Marino to go back 50-years to those mischievous days as a boy. Immediately Marino finds a mushroom, he removes his Buff and ties a knot in one end to create a cloth bag. Moving left to right on the trail, the bag slowly fills with the rewards from the land. Marino may well have regretted this sentence as just an hour later he was running along grass banks barefoot and then submerging himself in the ice cold river water from the mountains. Today, Marino may well have fulfilled some of those dreams that he thought might not ever come back. It was special. The warmth of the log burner in the Casina provided that ultimate feeling of contentment that one longs for after a day in the mountains. Marino’s body was aching, his legs heavy from the repeated running but beneath a tired façade I knew he had had a good. Red wine had been decanted to glasses and dinner was moments away. 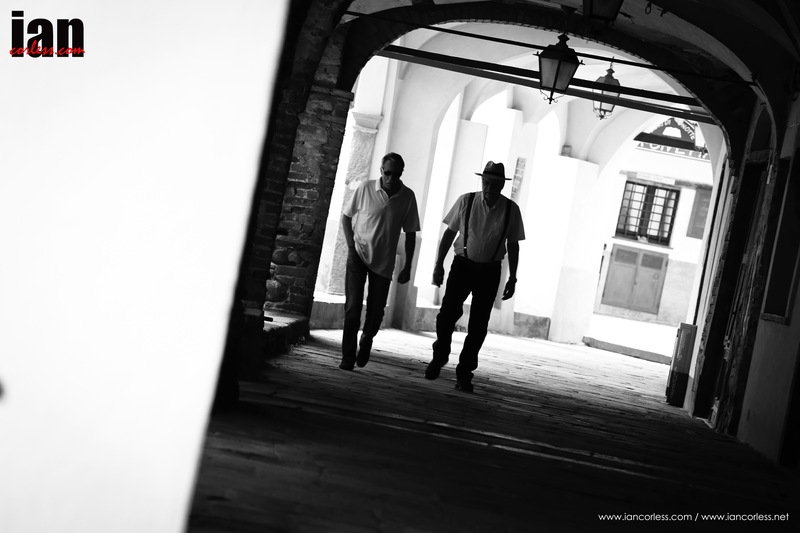 As we relax into the evening, the Casina provided a very different ambiance to Biella. It’s more relaxed. The pressures and deadlines still exist, they have not gone away but the mountains and mountain life make us all realize why we are here. It provides perspective. Eager to resume my questions from the previous day, I hold back. 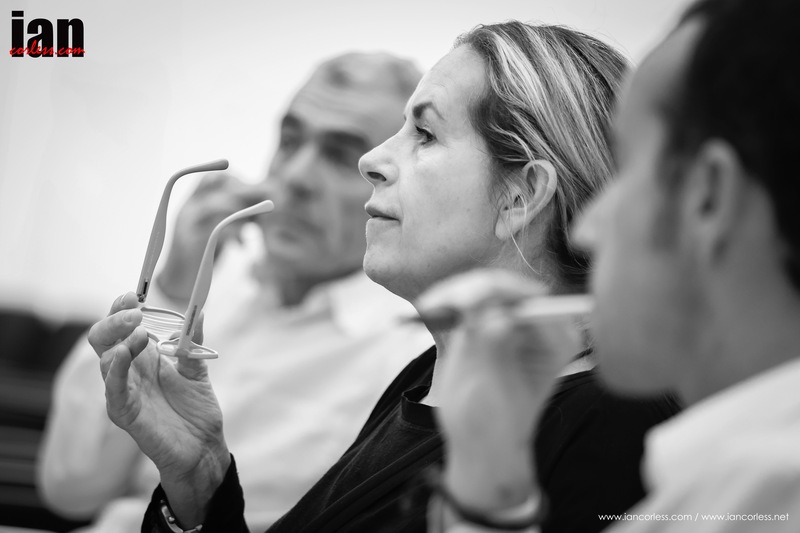 Now is not the time… it has been a great day, a great couple of days and we need to savour the moments. My concerns of talking shop are eroded away as Lauri brings our conversation to present day. 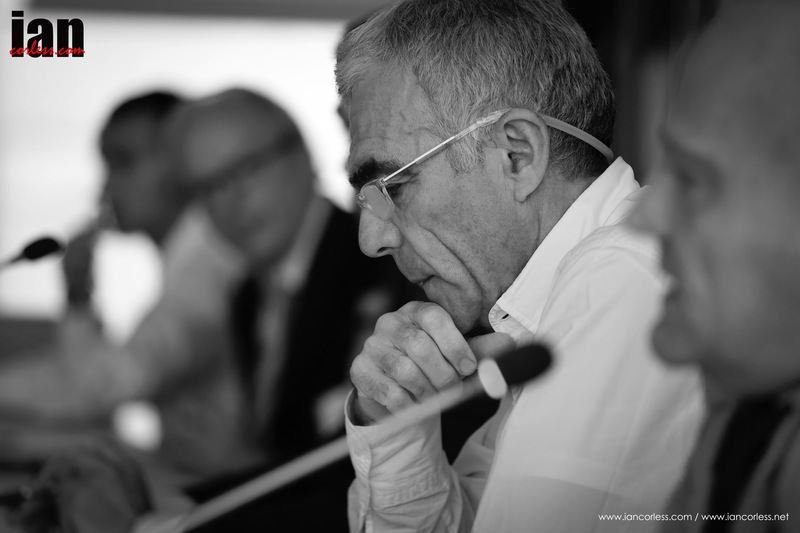 “So, am I correct in assuming that we won’t see races like Templiers or UROC in future ISF race calendars?” I ask. Conversation turns to the day’s events; Lauri is eager to enquire how filming went. We laugh as Marino explains in detail his plunge in the ice-cold water of the river and how his fingers turned blue. Another fried mushroom is removed from the platter and added to my plate. 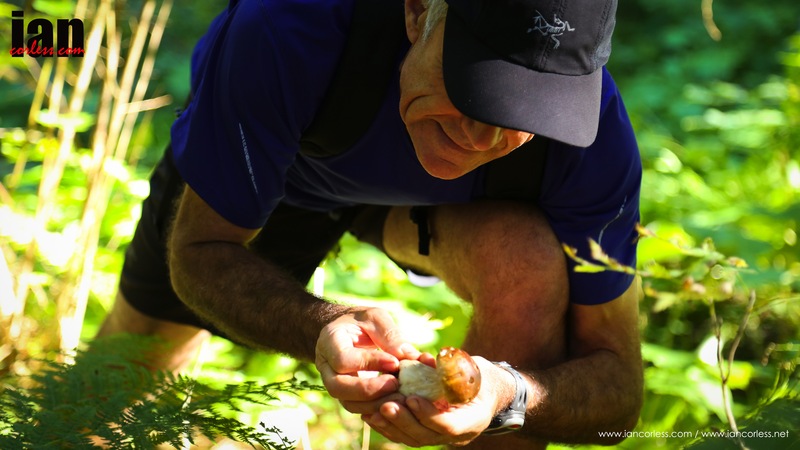 To think, just this morning Marino was collecting these very mushrooms from his childhood haunts. He had prepared them in the traditional manner and the simple delicacy provided the perfect accompaniment to the surroundings and company. I too had found my first Kima experience equally mesmerising. My breath had been taken away by the drama and severity of the course. I had never seen anything quite like it and the impact was profound. Hopping from one section of the course to another via helicopter added some serious icing to the Kima cake. A vertical wall of rock and suddenly a flash of red and white. Kilian appears, hand-over-hand as he descends via chains and then flies past us with a wave as though running a 5k. He looks so incredibly relaxed. Kasie Enman is the first lady and this provides some confusion. Emelie Forsberg had had a convincing lead; what had happened? Finally, Emelie arrives 5th lady, in tears but running like a demon. She had gone off course and lost almost an hour. Trying to claw back time she takes risks; 4th place, 3rd place and then 2nd, was it possible to take back victory? Unfortunately, no! Kasie Enman held on to a convincing lead and the records will show that the American was the 2014 Kima ladies champion. 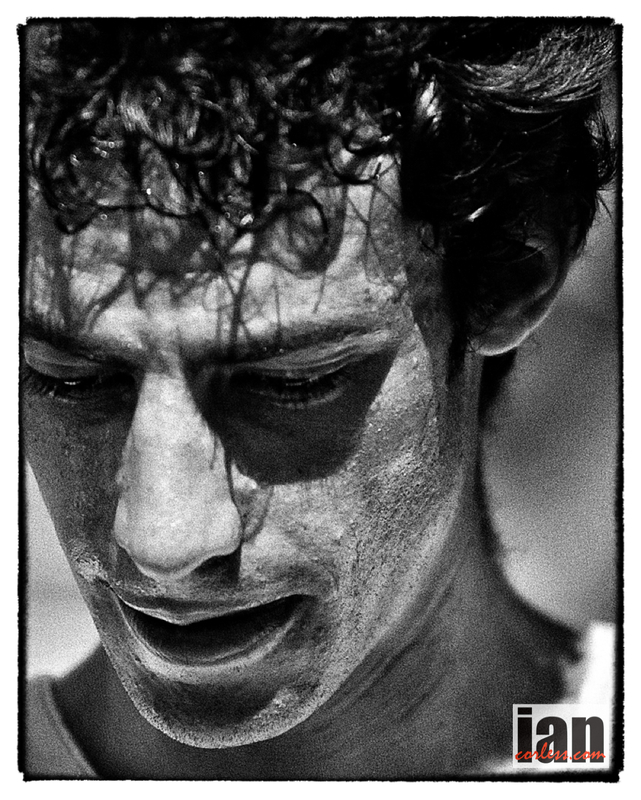 In the male race, Kilian Jornet had the race of his life and in doing so broke his own course record. Another race over, another successful event but there is no rest. This evening a glass of red and a nice meal but tomorrow it’s back to the grind. Another race is only weeks away and like déjà vu the process will repeat itself. I smile knowing full well that her words are true and that in all honesty, I already knew the answer. 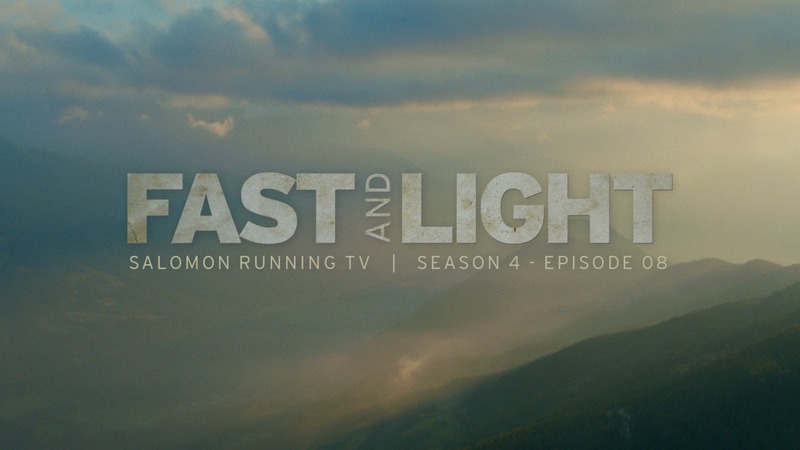 Quotes from Bruno Brunod, Fabio Meraldi, Emelie Forsberg and Kilian Jornet are taken from the film, FAST and LIGHT. ©TheAfricanAttachment and ©SalomonRunning. 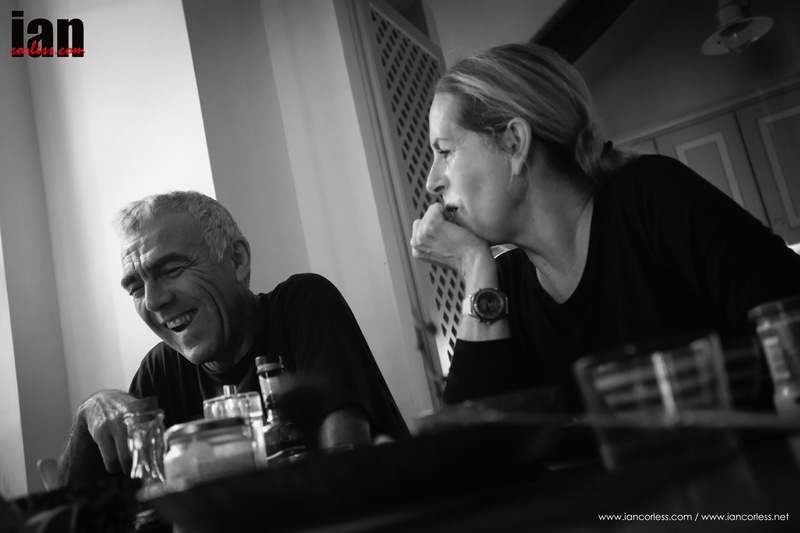 Many thanks to Lauri van Houten and Marino Giacometti the ISF and Skyrunning. Many thanks to Trofeo Kima and all the staff. A series of articles will be published worldwide to coincide with the release of Fast and Light and I would like to take the opportunity to thank all the editors and creatives involved in this process. Look out for articles in: Adventure Types – Australia/ NZ, Canadian Running Magazine – Canada, Trail Chile – Chile, TRAIL Magazin – Germany, Ski Alper – Italy, Trail Run – Japan, Poland, ALERG – Romania, Running The Cape – South Africa, Outdoor Fitness Magazine – UK, Like The Wind – UK, Nature Trail – France, Spain and many more. 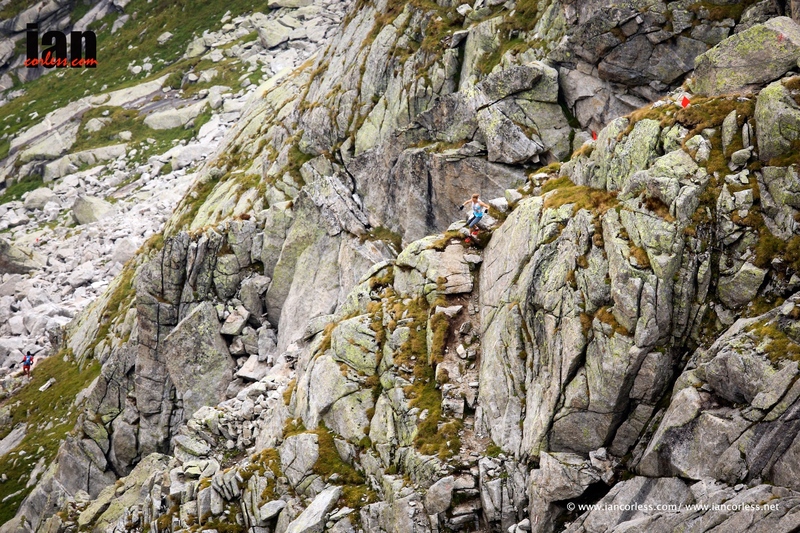 The 2014 Skyrunning Trofeo Kima took place recently. It is quite an incredible race. I wrote an article and provided images for RUN ULTRA. What an epic Skyrunning Trofeo Kima. We have come to expect it I guess, but this year was just a classic for so many reasons. 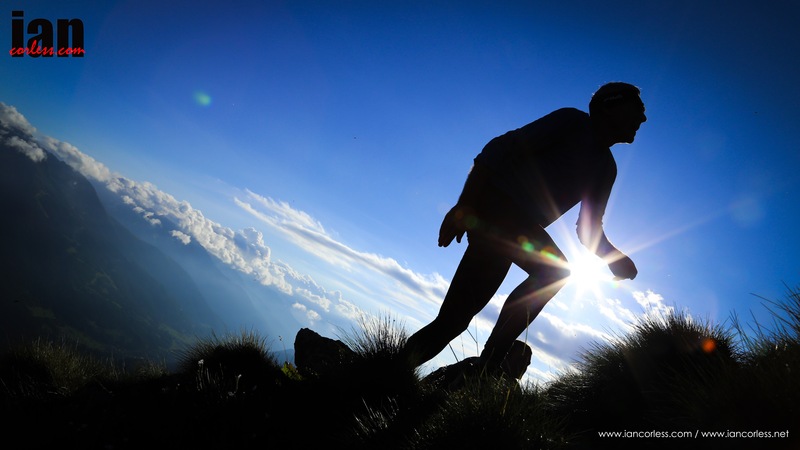 Man in form, Kilian Jornet (interview HERE) illuminated the mountains of the Valmasino with a stunning performance and new course record: 6:12:20. I suppose it would be fair to say that we never expected anyone other than Kilian to win! However, the Catalan did have some great competition in the early stages from Nicola Golinelli and then as the race progressed, up and coming talent Manuel Merillas applied some pressure. He actually closed the gap to within 1-minute. However, nobody closes like Kilian and he upped a gear; applied the pressure and once again not only established himself as the top of the ultra, trail and mountain running world but set a new course record so that we can’t forget! Ever present, Franco Sancassani closed out the podium in 3rd place with another top quality and consistent performance just 10-min behind Merillas. The ladies race, a little like the men’s race had an outright winner written all over it before the start; Emelie Forsberg. No disrespect to the other ladies in the race, but Kima is made for Emelie. At the top of the first summit B.tta Roma (2894m) Emelie descended with a smile on her face and the joys of the terrain clearly expressed. 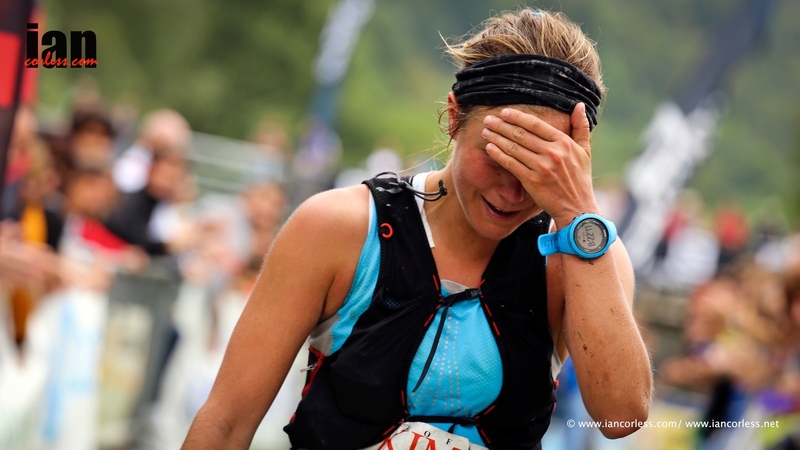 When I next saw her, some time later at P. Qualido (2647m) at over halfway around the course, Emelie was in 4th place after going off course and loosing 1-hour. The happy face was gone and tears of frustration ran down her face, however, she pushed hard and gave a ‘pursuit’ master class. At the line, she made 2nd. Incredible! Emanuaela Brizio, past course record holder and two times Kima winner rounded out the podium with another consistent performance. In the last edition of the race, Emanuela finished 3rd, this time just 15-seconds behind Emelie who was 2nd. The 17th edition of the race was run in dry conditions, however, low cloud made visibility very difficult at times, not only for the runners but also spectators. It’s the mountains! They are always the boss and we are thankful that once again that allowed us to play!